Rack mount kits are designed to allow Adder products to be mounted in standard 19 inch rack enclosures. Some mounting kits are designed to allow mounting in other locations such as VESA mounts or under desks. RMK1 – 19″ rack mount kit for use with ADDERView and SmartView products. 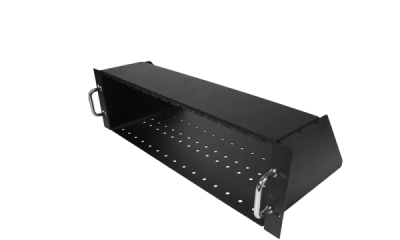 RMK2 – ADDER rack mount for use with ADDERView and SmartView 2U products, suitable for a 19″ rack. RMK3 – Rack mounting bracket for ADDERView 4 PRO DVI and ADDERView 4 PRO VGA. RMK6 – Rack mounting bracket for ADDERLink INFINITY Manager. The RMK6 is provided in the box with the product. 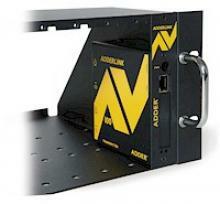 RMK7 – Rack mounting bracket for ADDERView Secure range. RMK5PROMS – Rack mount kit for ADDERView AV4PRO MultiScreen Series. ALAV-RMK-CHASSIS – ADDERLink AV Series 19″ 3U rack mount chassis kit. X-RMK-CHASSIS – 19″ 2U rack mount chassis kit for ADDERLink X Series and ADDERLink ipeps. RMK-AL – 19″ rack mount kit for ADDERLink, ADDERLink Silver and ADDERLink Gold. RMK-AL-DUAL – 19″ rack mount kit for 2 units. Suitable for the ADDERLink, ADDERLink Silver and ADDERLink Gold. 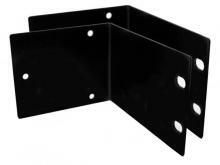 X-RMK-FASCIA – Universal rack mount plate for all single unit X Series extenders. X-RMK-FASCIA-DUAL – Universal rack mount plate for all dual unit X Series extenders. Most ADDER products can be fitted into standard 19 “racks and special rack mounting kits.